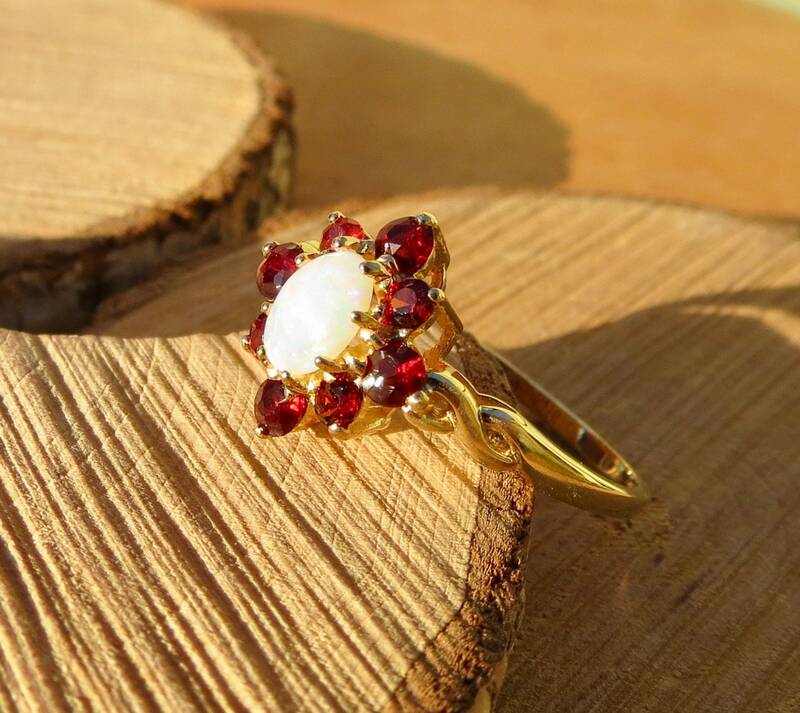 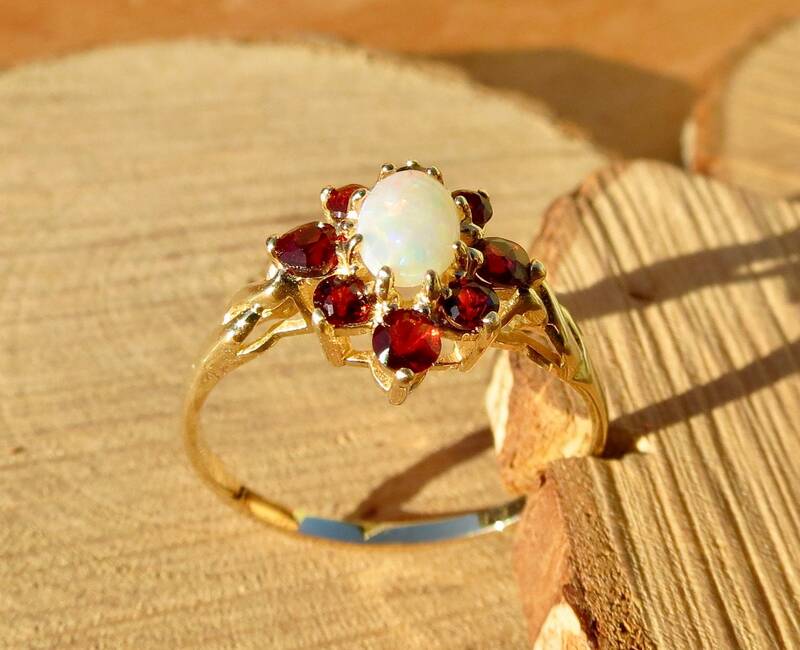 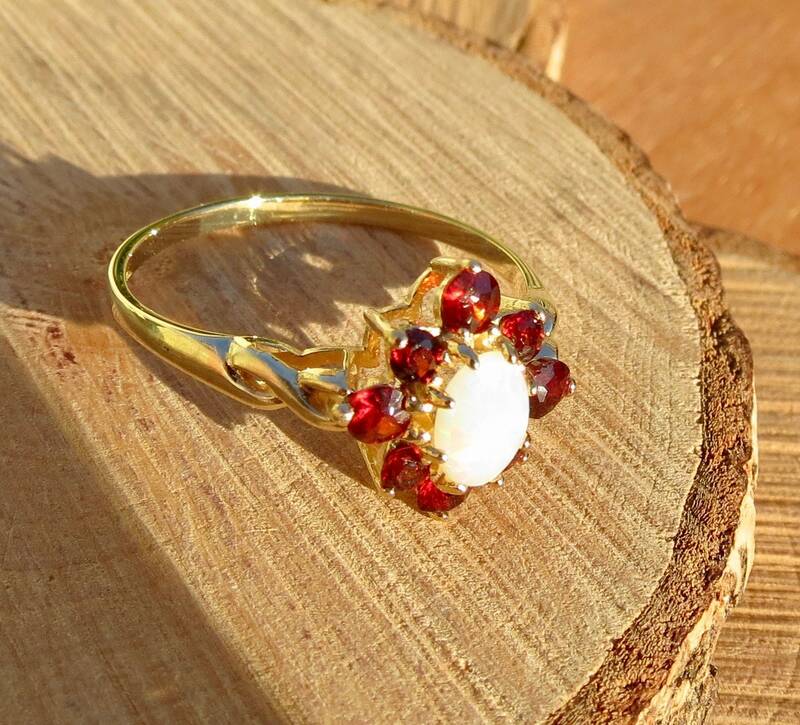 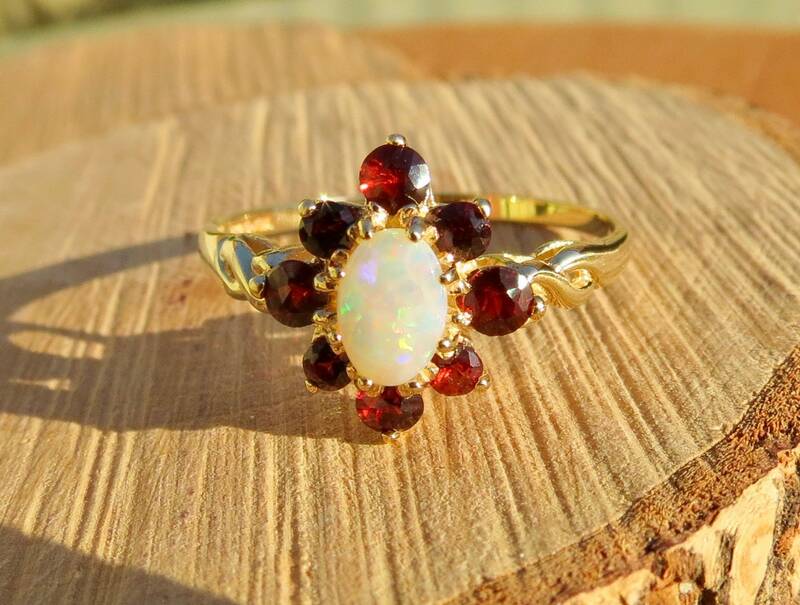 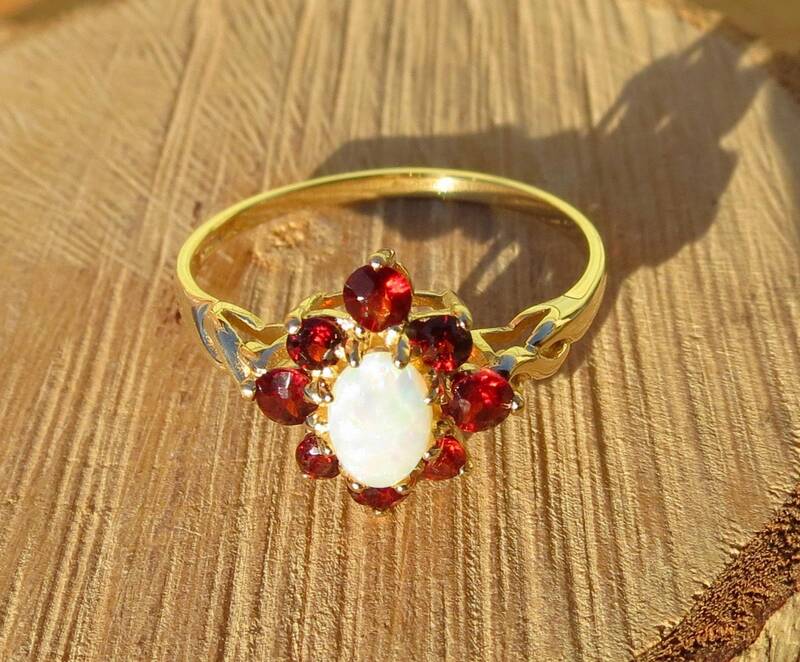 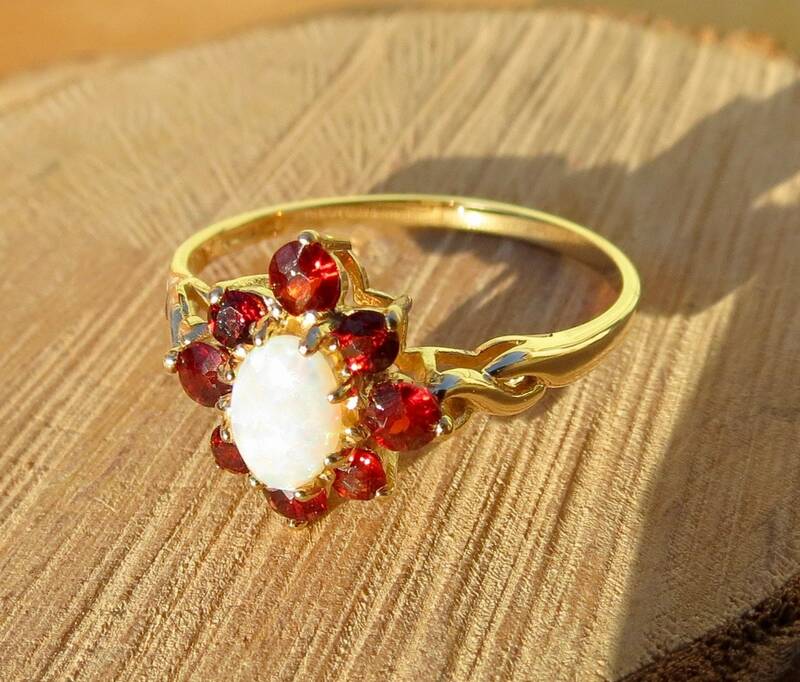 This 9k yellow gold ring has 9 round cut red garnets, and a central white opal in a cluster arranged setting. 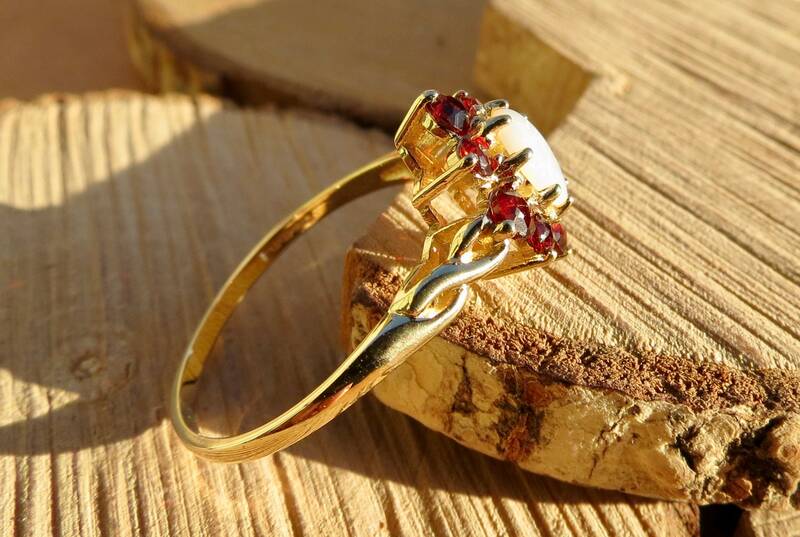 Decorated shoulders lead to a plain band. 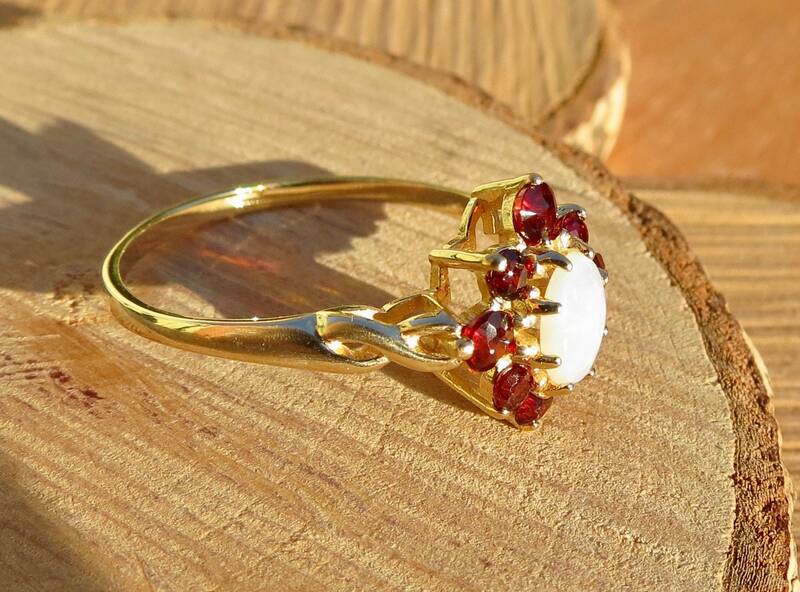 Full British hallmarks. 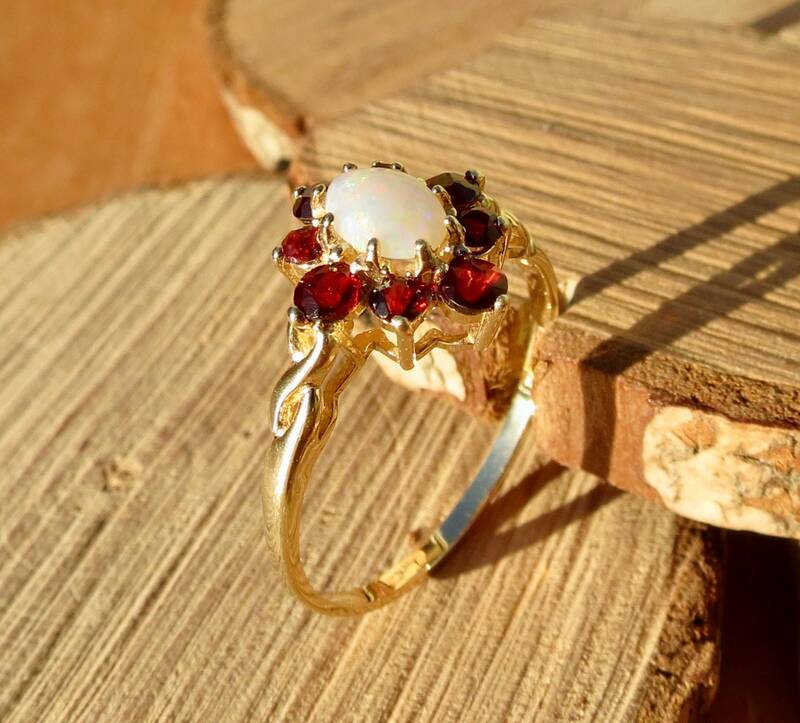 London England.